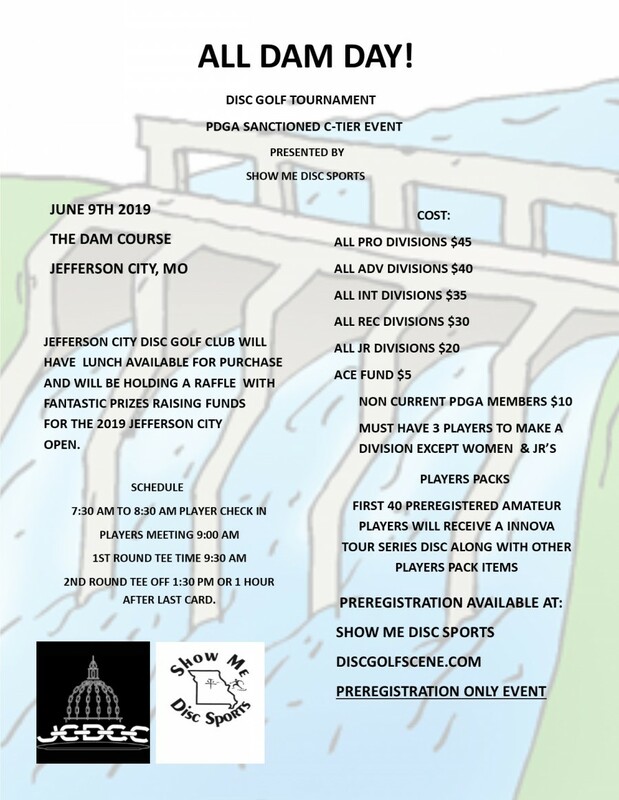 JCDGC will have lunch available for purchase and a Raffle for great prizes to raise funds for 2019 JCO. Players pack for first 40 preregistered AM player will be a Innova Tour Series disc along with other merch. - 8:30am Player check in and AM player pack pick up. The Innova Tour Series Discs will vary and are on a first come basis of the first 40 preregistered players. 1:30pm 2nd Round Tee off. Time is approximate. 2nd round will start 1 hour after last card turned in. 4:30pm Raffle drawing. All time approximate. 5:00pm Awards. All times approximate.